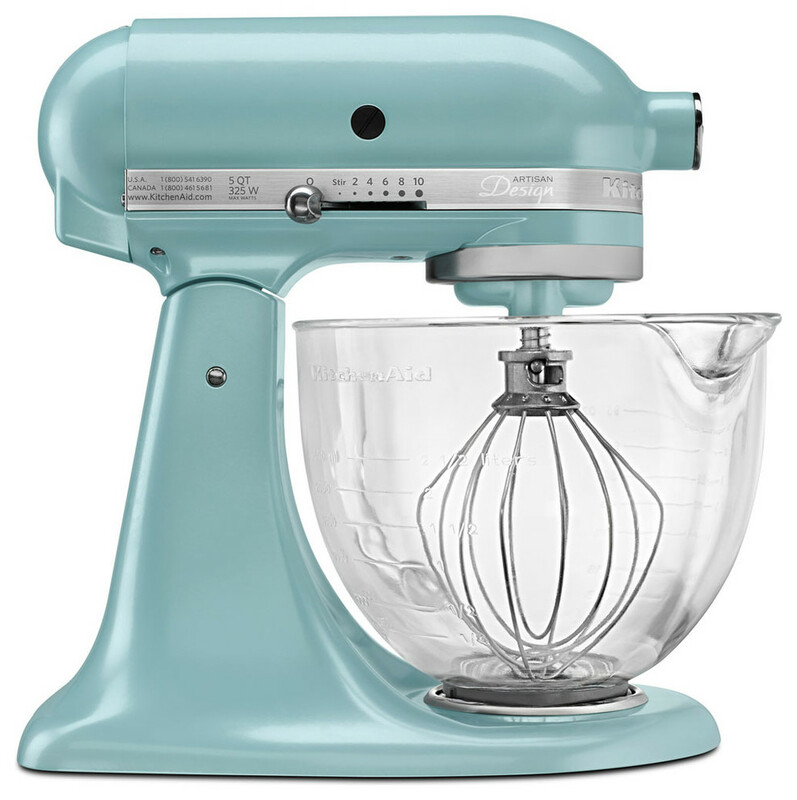 The KitchenAid KSM155GBAZ Artisan Designer series stand mixer, in azure blue, brings innovation and style to your kitchen. The 10 mixing speeds provide flexibility and control whether you are creating a new recipe for cupcakes or your famous herb mashed potatoes. The tilt-back head provides easy access to check on ingredients or change accessories. Use the dough hook for breads, pizza dough and yeast rolls. Whip perfect cream, meringue or icings with the wire whip. From main dishes to dessert, this stand mixer makes your kitchen dreams a reality. With measurement markings on the side in liters and cups, the glass bowl is handy, beautiful and multi-functional. Simply remove the round, metal medallion on the front of the mixer, attach optional accessories (sold separately) to the power hub and you are ready to grind choice meats, prepare fresh applesauce or make delicious, homemade pasta. W 11" / D 13" / H 14" / 24 lb.